Dieter Brandenburg is an internationally acclaimed photographer and visual innovator. His experience in fashion, portraiture, and interior work is the bedrock for his visual philosophy. He is currently focused on exploring the aesthetics of pre-modern interiors and select portraits. 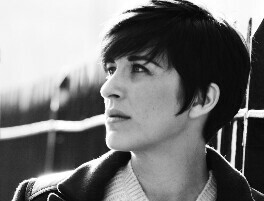 In 2017, the National Portrait Gallery acquired photographs of Vicky McClure. He has previous experience on shoots for Mario Testino and Iain McKell Rankin and editing for magazines such as GQ and Vogue. Dieter was born in Lima, Peru, and was raised in Germany, Paraguay, Haiti, and the United States. He graduated from the University of Wales with a Bachelor's of Fine Art Photography.